JACKSONVILLE, Fla. - Thousands of people pack downtown Jacksonville as the three-day "Welcome to Rockville" music festival wraps up Sunday. It's one of the largest concert's of its kind in the country. An estimated 90,000 people attended the festival in downtown Jacksonville. Rockville organizers attributed the growth in attendance to a combination of the festival's past success and the decision to extend the event from two days to three. "We've got people traveling from all over the place and real rock fans who are ready to come and have a really good time this year changing it to a three-day format," said organizer Lindsey Medina. Of course, bigger crowds mean a greater emphasis on security measures to make sure festival goers have a safe and enjoyable time. 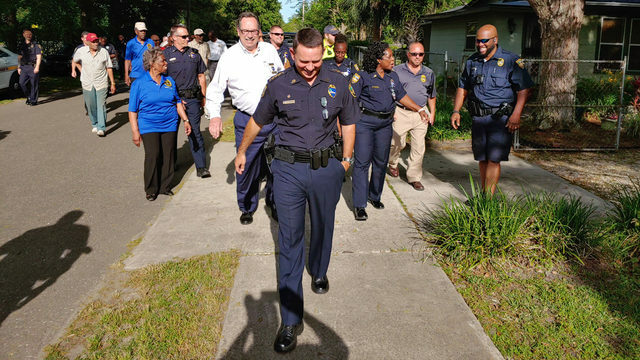 "We have all different kinds of law enforcement physically on site. We installed all kinds of security cameras as well to make sure everyone is safe," Medina said. Luke Barber is with Yashira, the only local band set to play at the festival. He told News4Jax it's amazing to see an event of this scale bring together so many people in his hometown. "It's awesome," he said. "They created jobs by doing this and it's great they're putting Jacksonville on the map music wise." Robert Valerio told News4Jax the friendly atmosphere created one of the nicest experiences he's ever had in a mosh pit, saying he lost his glasses during the frenzy and someone returned them. "I would sell a kidney to come back!" Valerio said. It's not just locals who are excited, either. Visitors from out of town, like Robert Rotondo who came all the way from Ohio, traveled from all over to see their favorite acts. "We took the water taxi over," he said. "Transportation was awesome. Good experience." In addition to increased police presence and the installation of surveillance cameras, festival organizers have established strict guidelines on what those attending can and cannot bring inside. For instance, clear tote bags, transparent resealable plastic bags and small clutches are allowed. 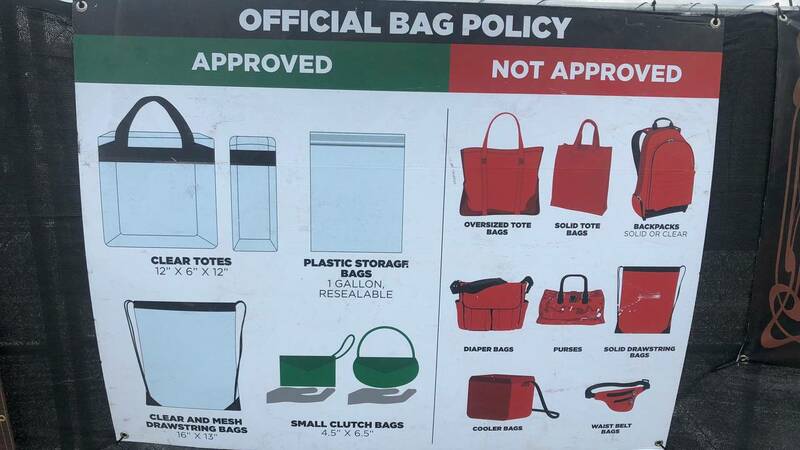 But attendees won't be allowed to bring in traditional totes, backpacks, diaper bags, purses, fanny packs and cooler bags. City staff have also streamlined access to the public docks at Metro Park for boaters who are concerned about getting to and from them during the festival this weekend. With many of the public docks near The Jacksonville Landing wiped out by Hurricane Irma, the marina outside Metro Park remains one of the few places downtown where boaters can dock. Dockmaster Jim Suber said there is a clear path, marked with signs, that will let boaters bypass the festival and get where they need to go. To learn more, visit the festival's website.